My family, students, and friends know me so well. I received such cute cat things and wonderful yoga related things this past Christmas season. 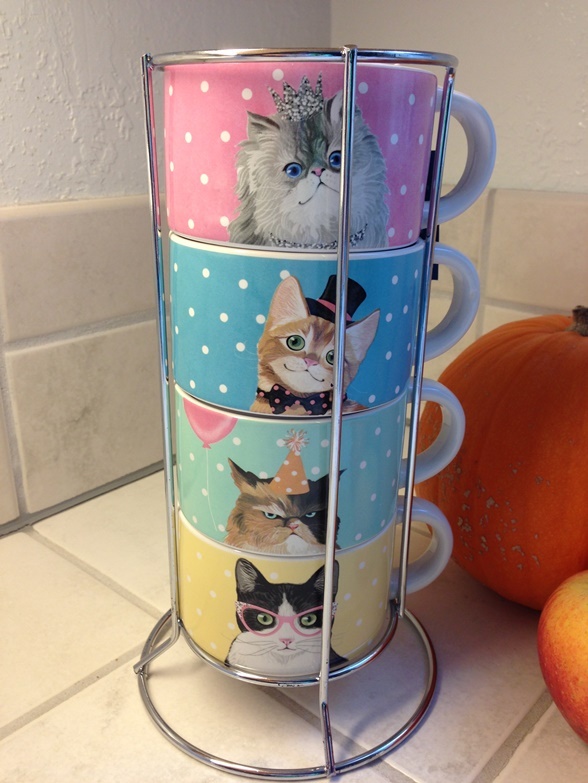 Look at these super cute mugs. Such a bright addition to the kitchen. Now, if I could just get the Christmas stuff put away! Here’s this week’s Friday Photo. This entry was posted on January 12, 2018 at 7:02 pm	and is filed under Friday Photo. Tagged: Christmas gifts, Christmas season, clowder, Friday Photo, kitty mug, Nia students, yoga students. You can follow any responses to this entry through the RSS 2.0 feed. You can leave a response, or trackback from your own site.